Relieve the stress to make that long ride an easier one! Riding a motorbike might have been romanticised in this day and age but it is no easy feat. Especially if you’re heading for long bike trips, like the one to Ladakh you’ve been planning with your buddies. When Wes Siler wrote about How Getting In Shape Makes You A Better Motorcyclist, he wasn’t lying. However, the real picture is a little different. 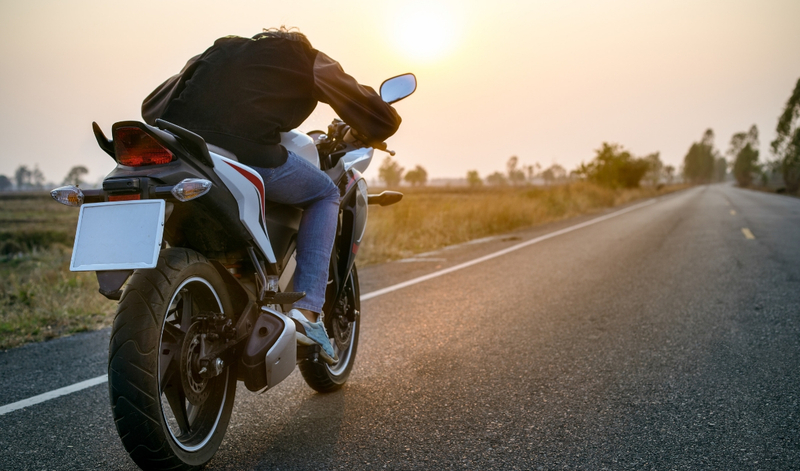 Rohith, who identifies as a part Professional Nomad, part Social Media Influencer by the name of tollfreetraveller says “Predominantly nobody does anything… motorbikers think they can do everything until everything goes wrong. Having said that, I think it makes a huge difference to be fit. You tire less and you can do more, so endurance is key.” Exploring this idea more, we figured the key elements of staying fit as a motorbiker. Rohith hops on his bike and travels for months on end. “During a trip, say you’re doing an adventurous route, you’re not going to get nutritious food, you’re not even walking. Just getting on the bike and riding most often,” he says. Slouching can lead to a lot of back strain in a situation like this. Hence, before you head for your trip make sure you’re focussing on posture and spine stabilising exercises which work on your core, abdominal and lower back muscles. “I don’t see weight training as a specific benefit. Cardio definitely helps with endurance, stamina and dealing with different kinds of weather and altitude issues,” says Rohith. When you’re sitting on a bike for hours on end, what is extremely important is your endurance. More than focussing on your key areas, focus on the muscles that help relax those areas. For example, a strong core will help your back and hip muscles not be extremely tense through the journey. National Powerlifter, Roseline Toppo, says stretching is of utmost importance. Stretching exercises that focus on your legs and back can be really helpful. “One is where you place your feet together and bend down to touch the ground. Another is stretching your hand and bending it sideways in the opposite direction, this really helps stretch your back and relieve it of fatigue and pain.” Even poses like the superman pose and lying on the ground, lifting your upper body up can help.